Vitesse striker flattered by links. 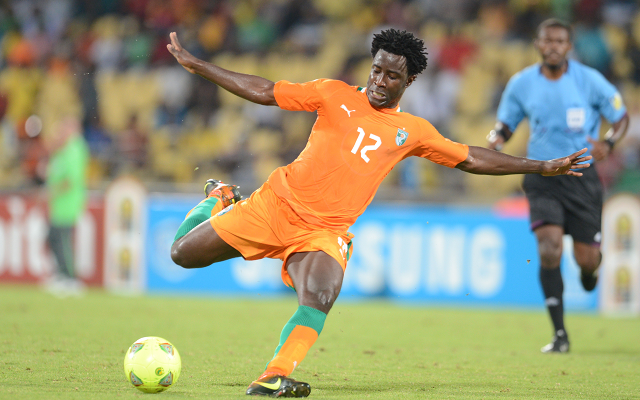 Vitesse Arnhem striker Wilfried Bony has expressed his hopes of playing in the Premier League as a number of clubs line up summer bids for him, Sky Sports reports. The 24-year-old is the Eredivise’s top scorer this term with 31 goals from 28 games and has been heavily linked with the likes of Arsenal, Chelsea, Newcastle and West Ham this season. Vitesse aren’t expected to be able to hold onto him for long and it is England that is his preferred destination, the striker confirmed. “For me the Premier League is the top league [in Europe], but the Bundesliga is also good – France, Italy and Spain they’re all good too,” he said. Vitesse are currently sat in fourth place in the Eredivise table, just two points off second place and Champions League football. And despite the links and speculation, Bony insists that he is focussed on helping the club finish as high as possible before the season’s end.